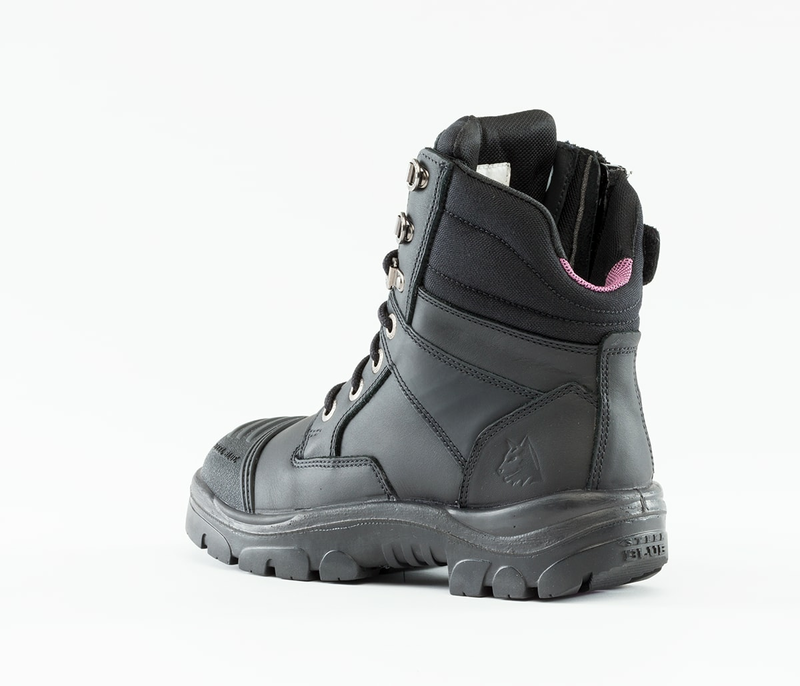 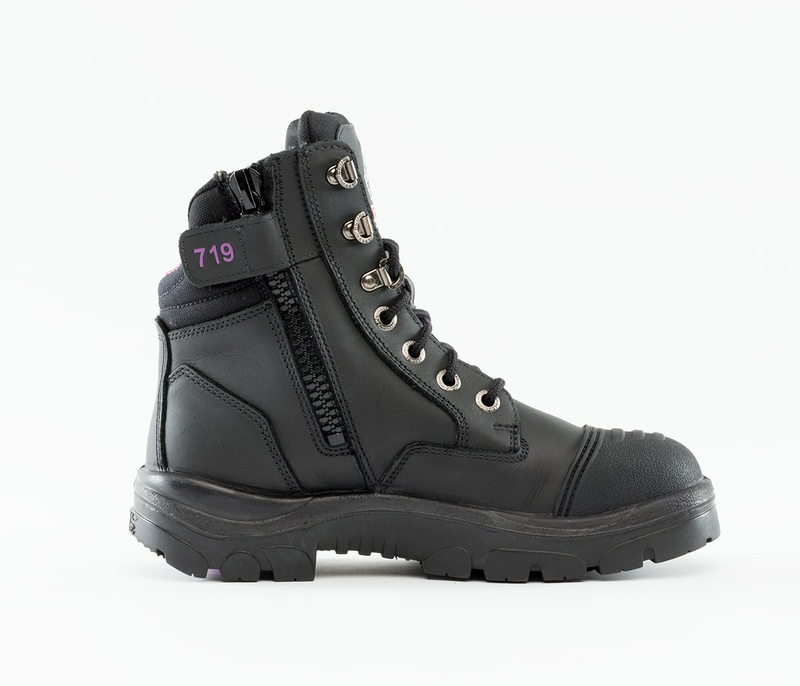 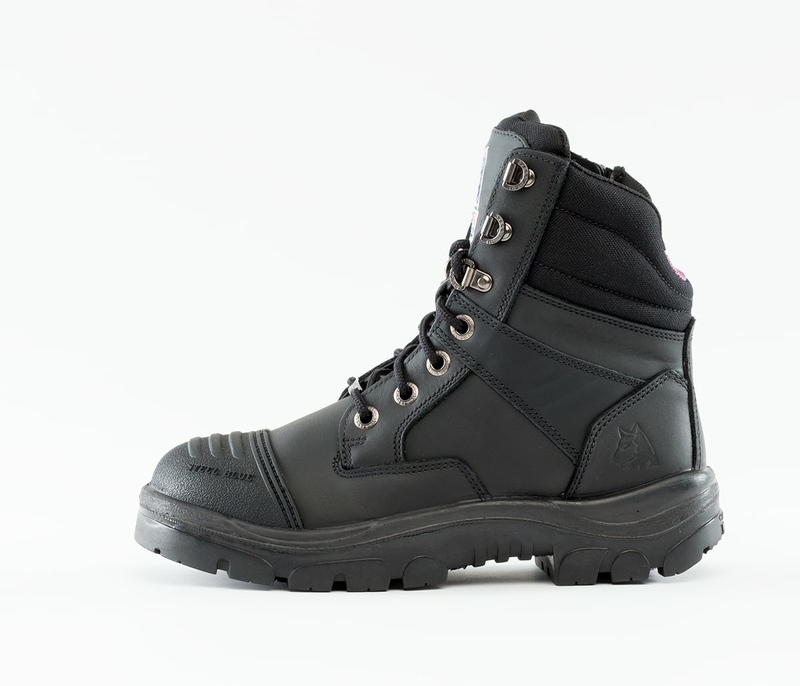 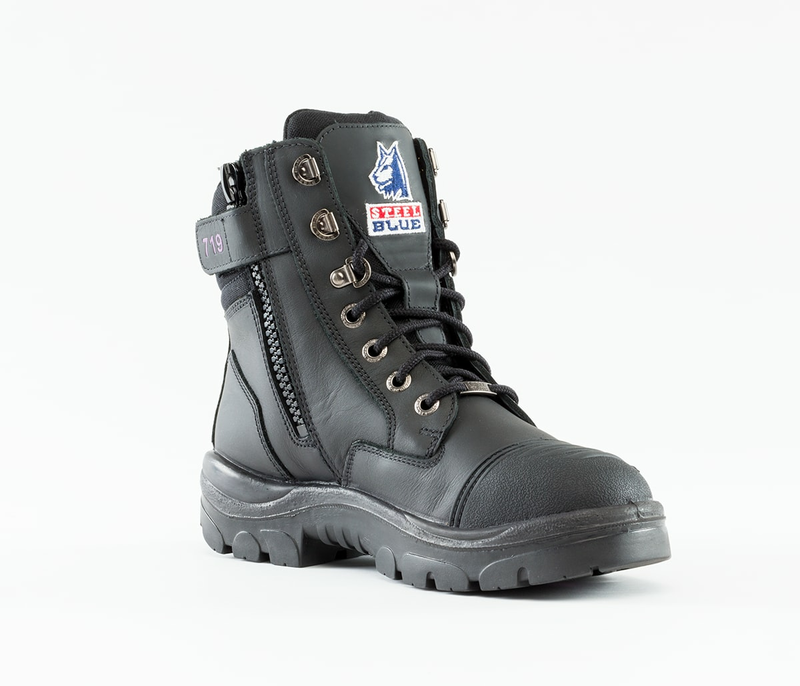 Our popular Southern Cross Zip Ladies boot is now available with a new-look Scuff Cap! 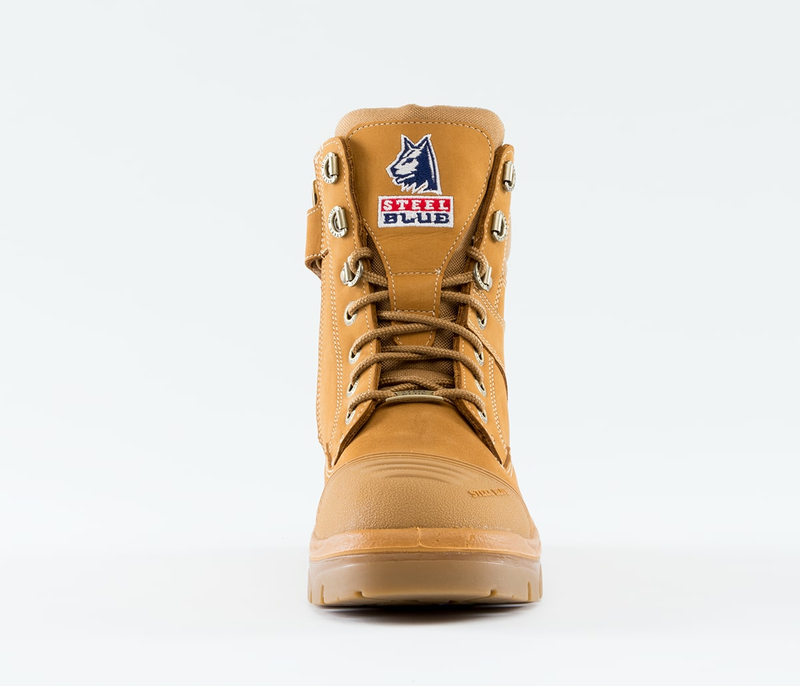 The streamlined design of our Scuff Cap provides longer-lasting protection of the premium leather. 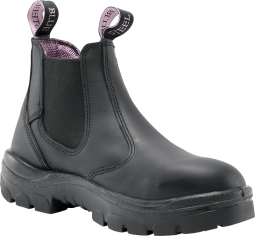 The Southern Cross Zip Scuff Ladies is a 150mm Ankle Boot with a low-cut scalloped collar and padded tongue, for comfort and ease of movement. 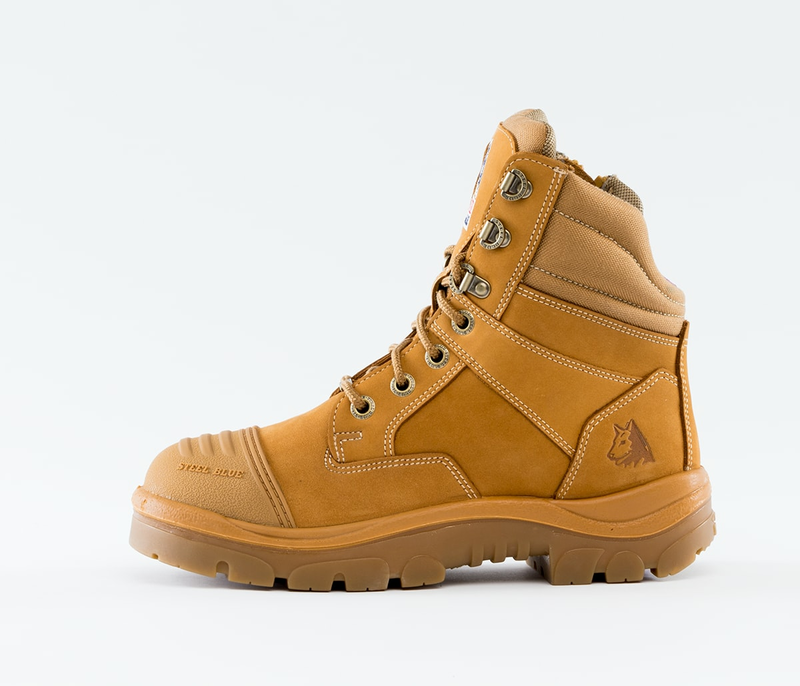 Crafted from premium, ethically sourced leather, this durable boot is available in Wheat coloured Nubuck Leather or Black Full Grain Leather. 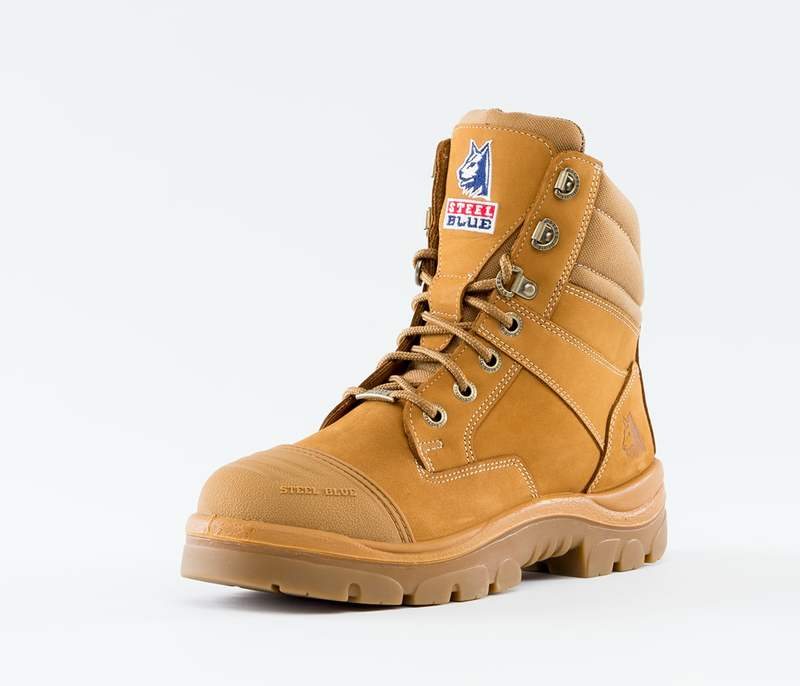 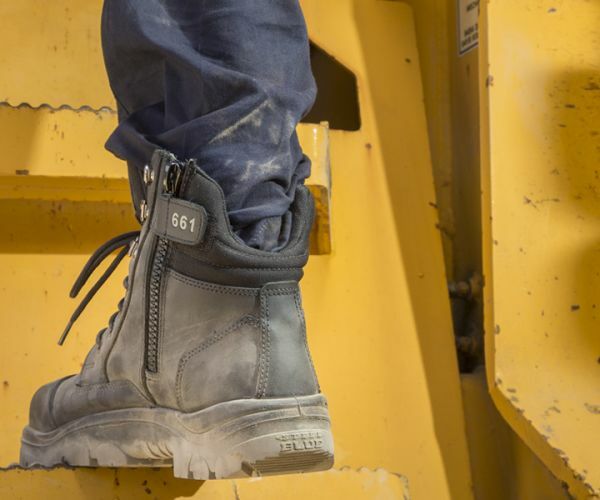 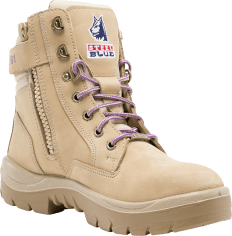 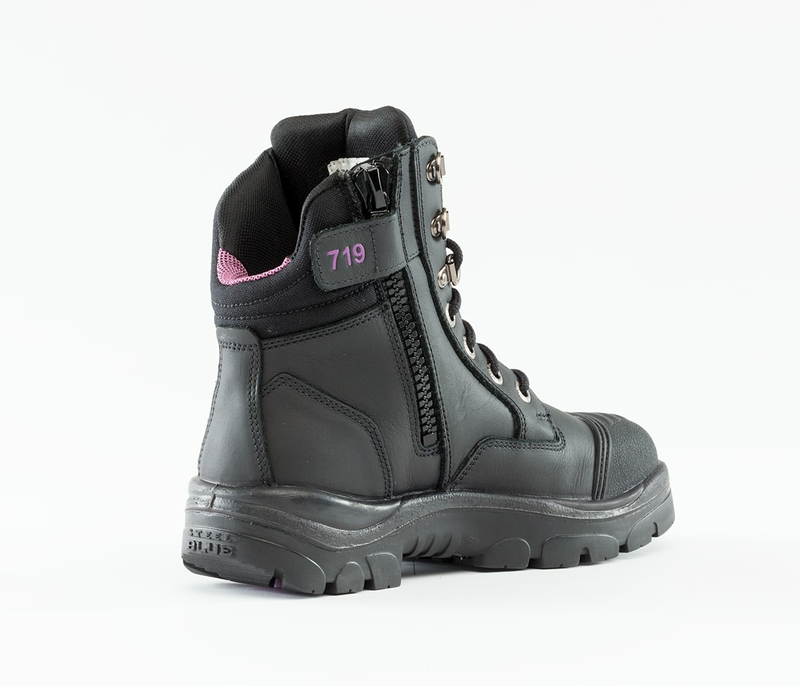 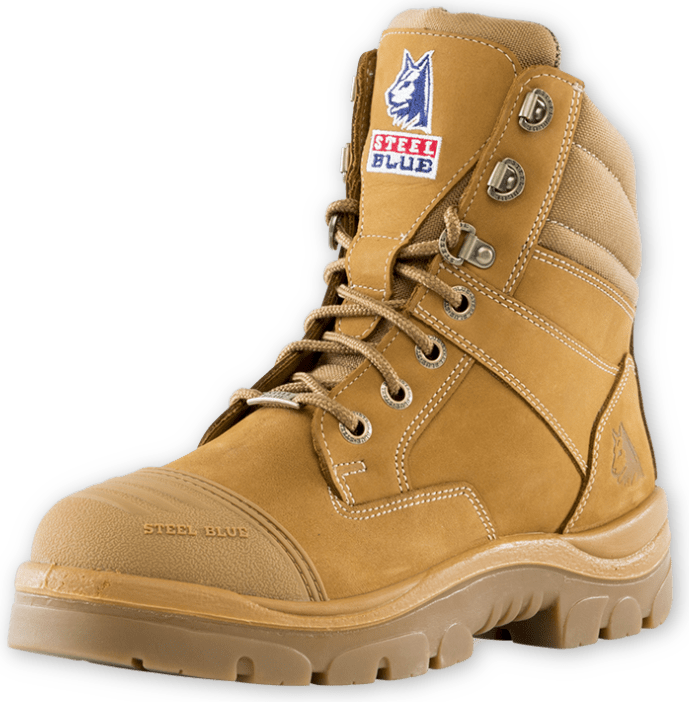 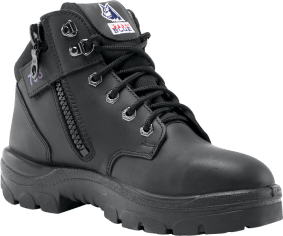 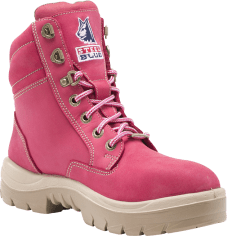 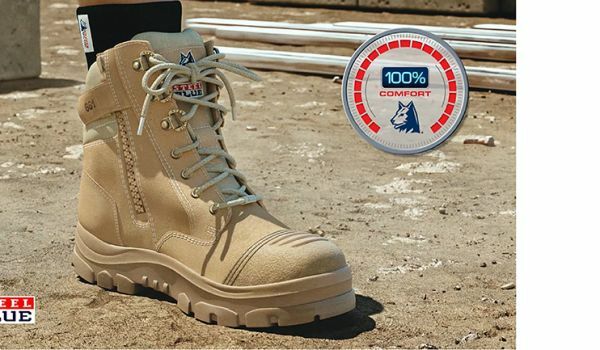 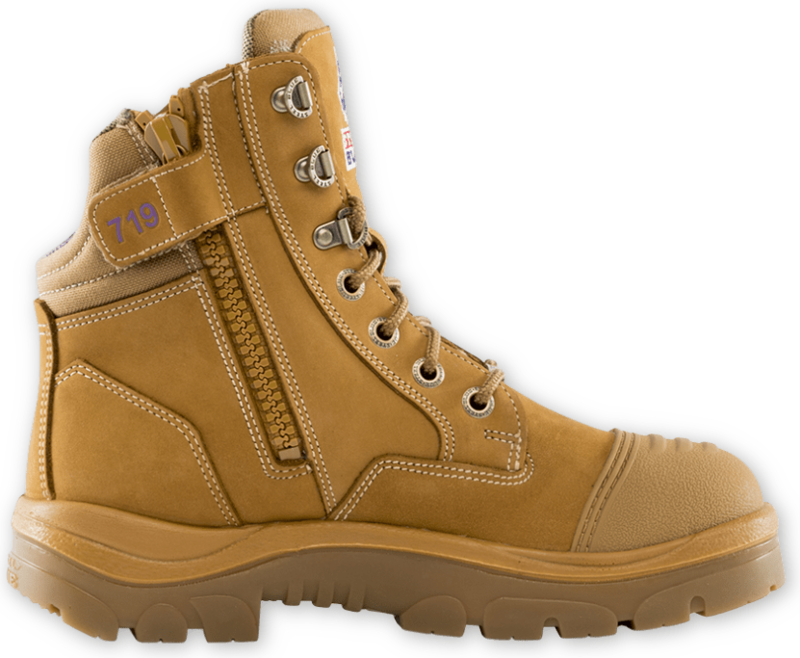 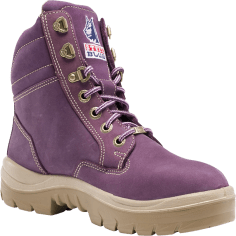 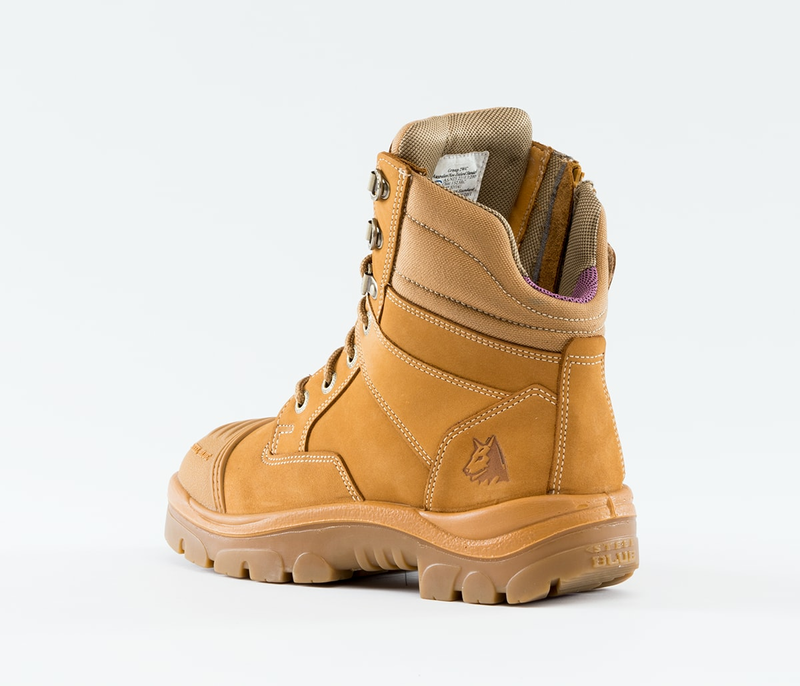 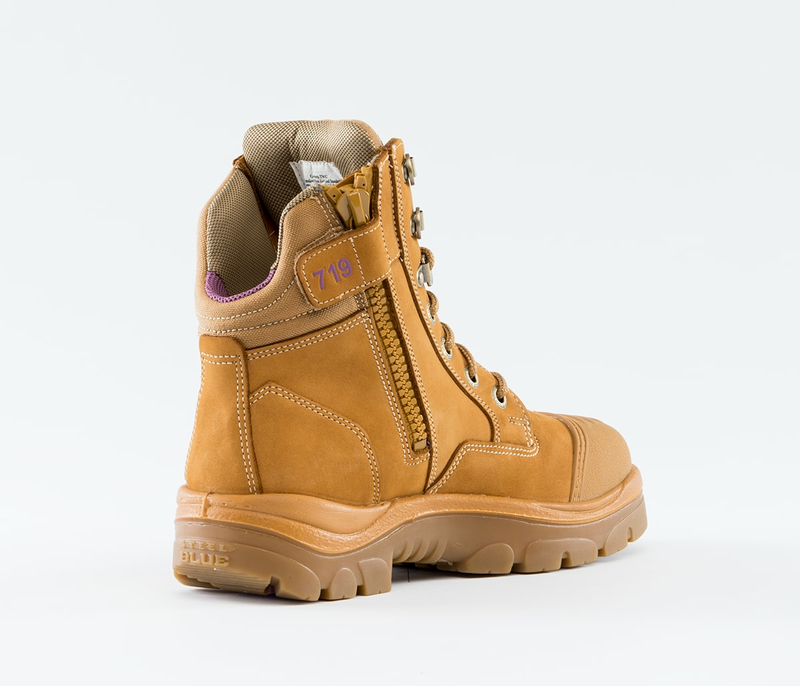 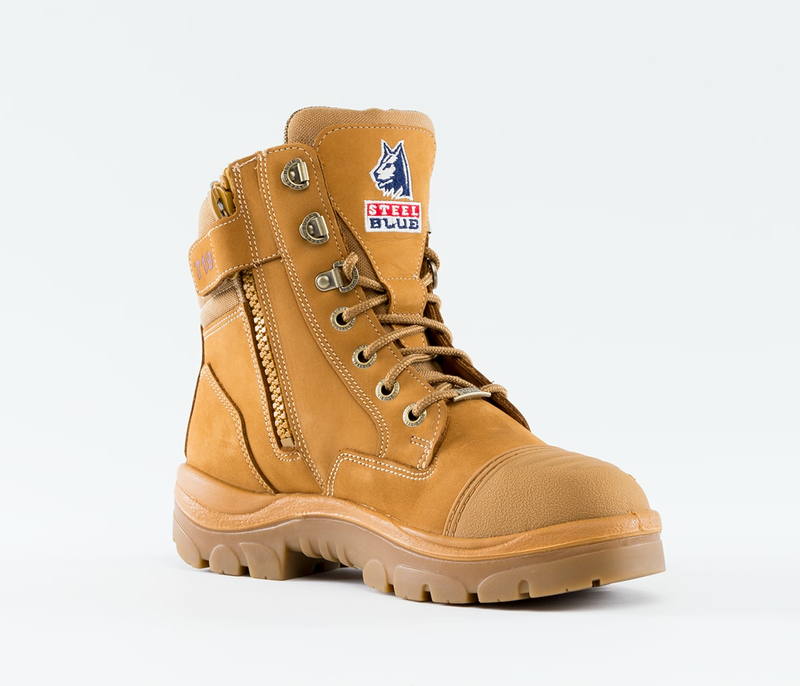 Packed with safety features, this Ladies work boot includes a TPU Outsole that is heat resistant to 130ºC, Anti-Static properties and Steel Toe Cap for ultimate protection. 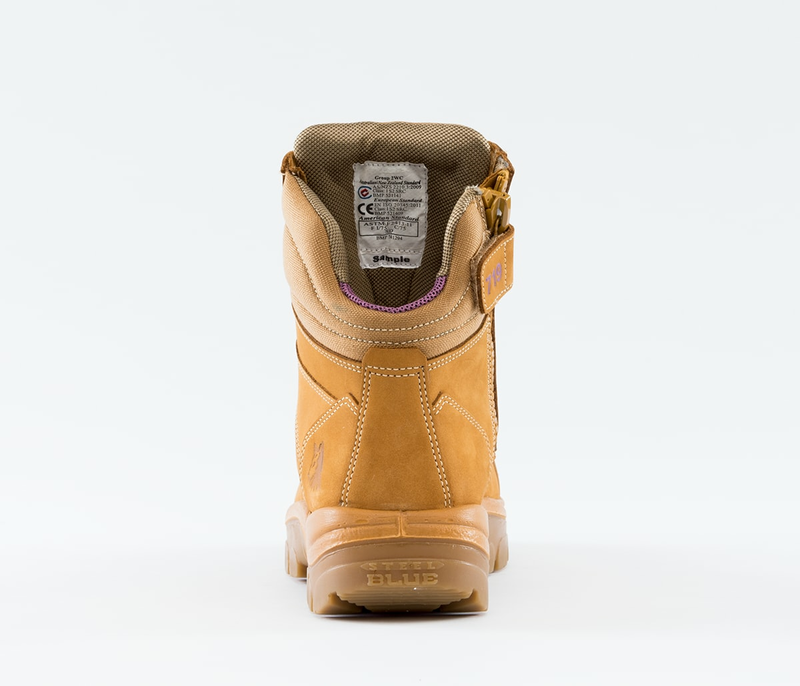 The Zip Sided feature allows you to simply tie the laces for the perfect fit and use the industrial grade zip for convenience. 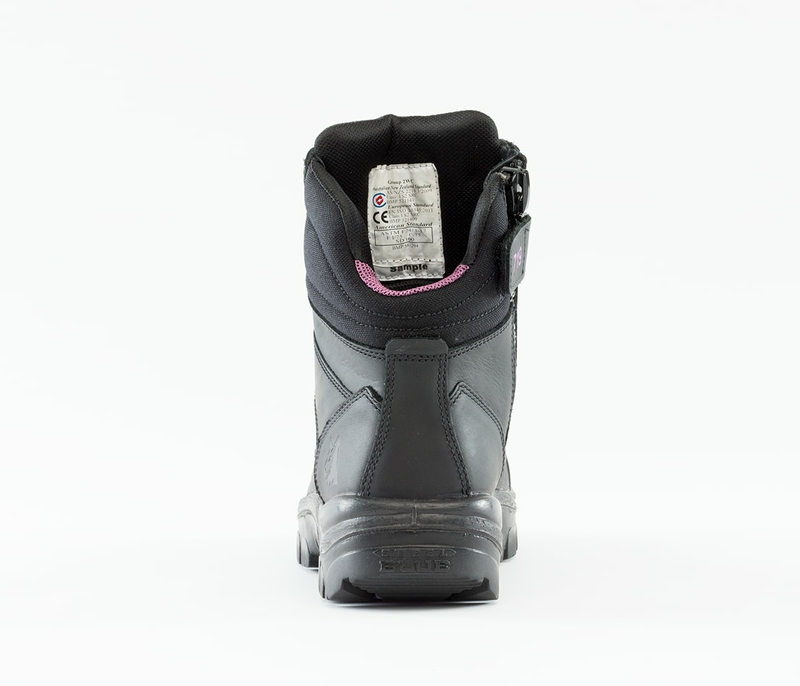 The Southern Cross Zip Scuff Ladies includes our patented Trisole® Comfort Technology which cushions your feet, knees, hips and lower back from day-to-day fatigue. 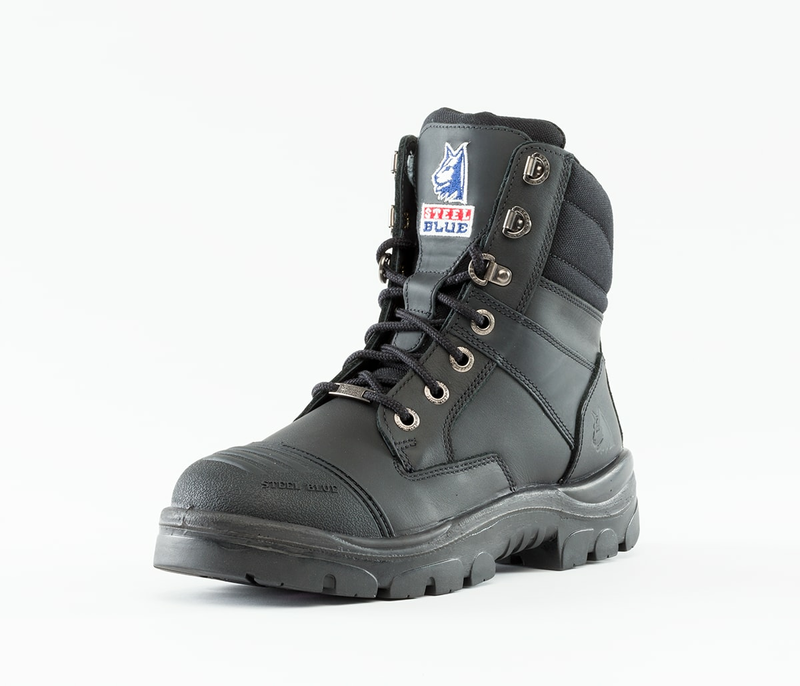 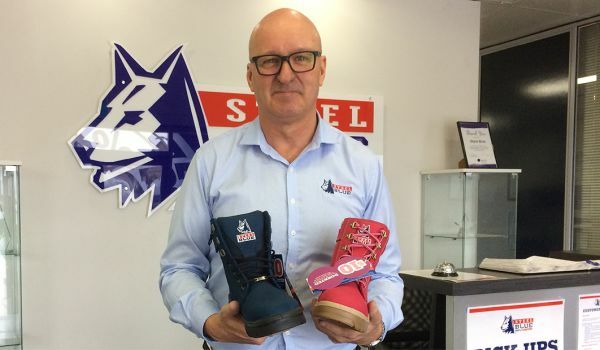 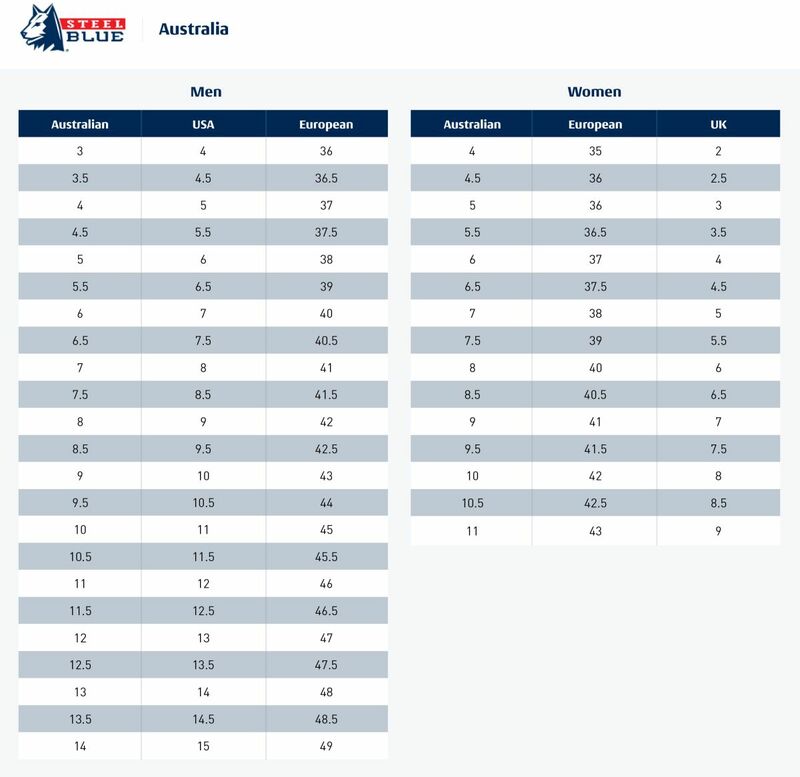 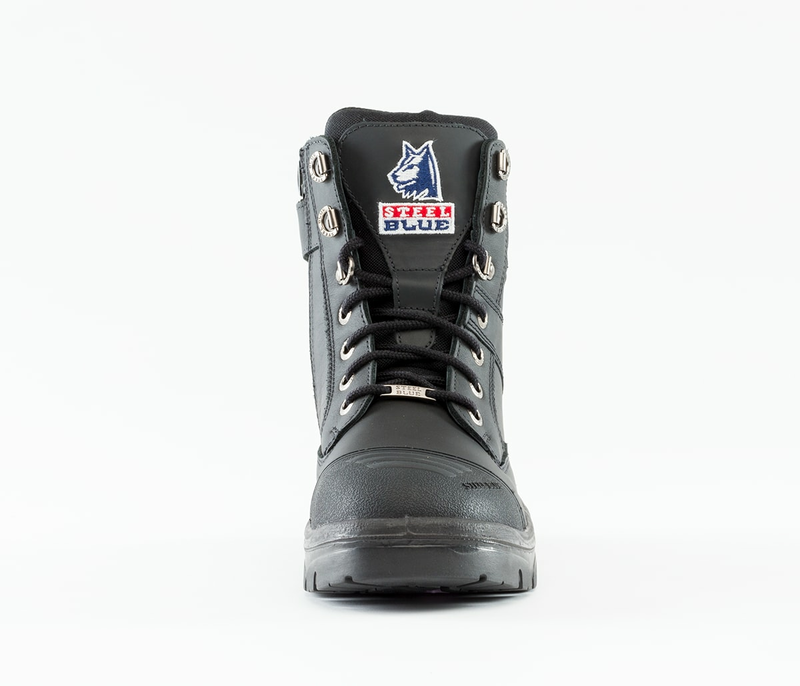 All Steel Blue Ladies safety boots are designed just for women and include a shorter ankle-length, higher arch and smaller in-step.